Client Profile: Goloboy CPA LLC provides accounting, business consulting and tax planning services to individuals, non-profits and small businesses, with a specialty in start-up firms and emerging companies. 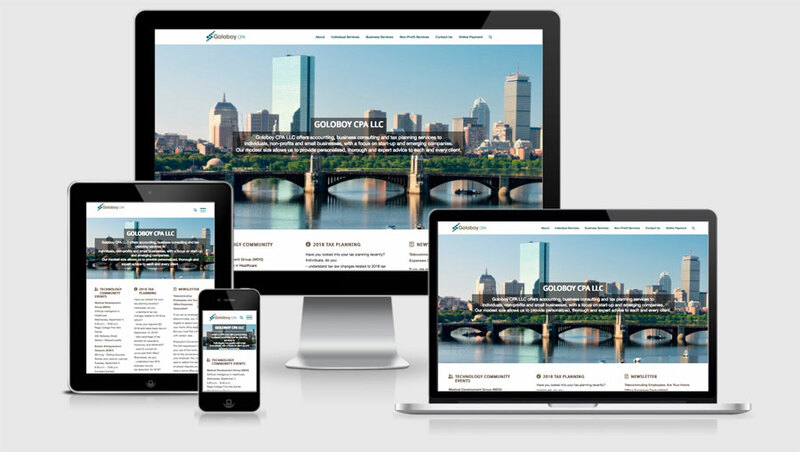 With offices in Cambridge and Sharon, Mass., we can be responsive to our clients in ways that larger firms cannot. Goloboy CPA clients benefit from the individualized and professional attention that a smaller accounting firm can offer.